Tyler Gets His KBC Explorer's Study Bible from KiDs Beach Club on Vimeo. Chances are pretty good that you remember receiving your first Bible. So many KiDs Beach Club® volunteers and pastors at partnering churches are eager to share their memories with kids in their Beach Club. Meet David Ng, a volunteer at Sherrod Elementary in Arlington, Texas. When his Beach Club celebrated Great Treasure Day last fall, he pulled out the very first Bible he received 47 years ago. It was written in Chinese and was so worn, the front and back covers were missing. He has to carry it in a Ziploc® bag to keep it protected. He told the kids he found Jesus in the pages of that Bible and the cafeteria erupted with applause. Kriss Bryant, the children’s pastor at Center Point Church, which sponsors two Beach Clubs in Birdville Independent School District, mentioned a popular entry one of their volunteers posted on Facebook. KiDs Beach Club® has made it a priority to give a Bible to every child in every Beach Club and hopes that children will remember the day. In 2015 alone, Beach Club handed out 17,777 copies of God’s word on Great Treasure Day. “The most important thing about handing out the Bibles is that a lot of these kids don’t have the opportunity to own a Bible or ever read the Bible,” said David Griffin, a pastor at C-Life Church in Forney, Texas. “So to give kids the opportunity to have a Bible to call their own means a great deal. Great Treasure Day, no doubt, is not only creating memories that will last a lifetime, but also is giving kids a hands-on tool to use as they start life-long relationships with Jesus. Tyler and Piper attend Beach Club at Johnson Elementary in Southlake, Texas. The club is sponsored by Southlake Baptist Church and pastor Clayton Reed. Bryant enjoys watching the kids’ reactions when they receive their Bible. Hopefully, they’ll be able to keep the covers intact. 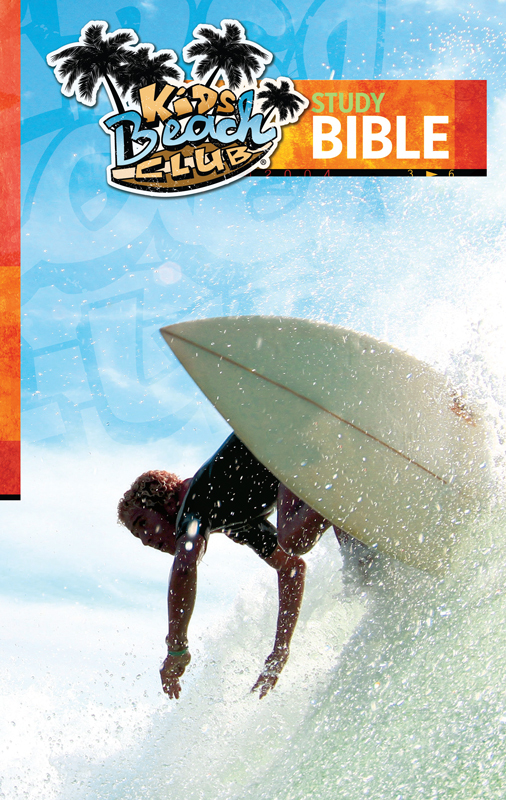 KiDs Beach Club® will celebrate its 10th birthday at the annual Bibles for Beach Club Benefit Dinner & Auction April 16 at the Hurst Conference Center. Your monthly support combined with the funds raised at the last Benefit Dinner & Auction has allowed us to provide nearly 20,000 Bibles since then. Please help us purchase an additional 20,000 Bibles so we can continue to provide Bibles to every Beach Club child the next two years and make these memories for kids and reach them for His kingdom. If you would like to attend this year’s Benefit Dinner & Auction please register at www.kidsbeachclub.org/BDA. Thank you for your continued support.